This water curtain on the dining table is for people who like a novelty and would like welcome their vip guest. The item will give the awe to the visitor who will feel the care and attention to the meticulous by using Indian walnut wood. The size of the top slab is 115 cm. width and 350 cm. length, including the stainless water trough and lighting system. 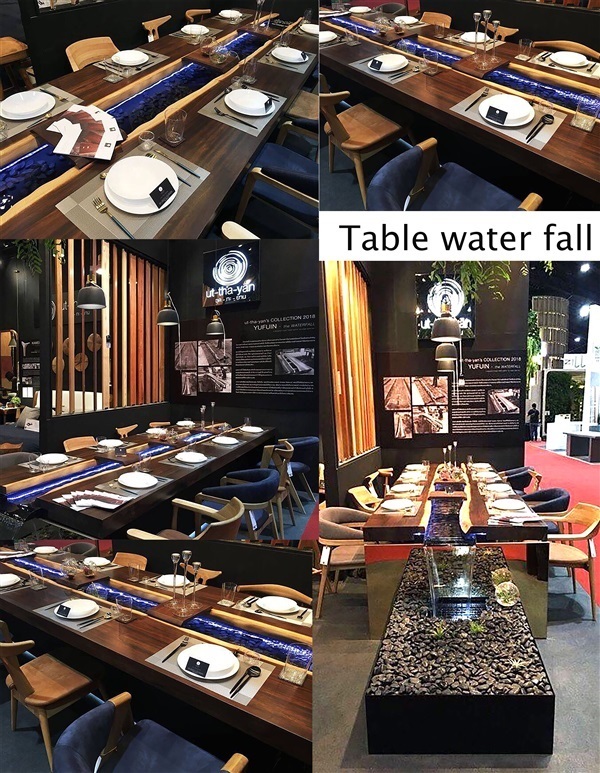 The price of water curtain on the dining table is 550,000 Baht.